Things I knew about Chris Brown before today: almost nothing good. 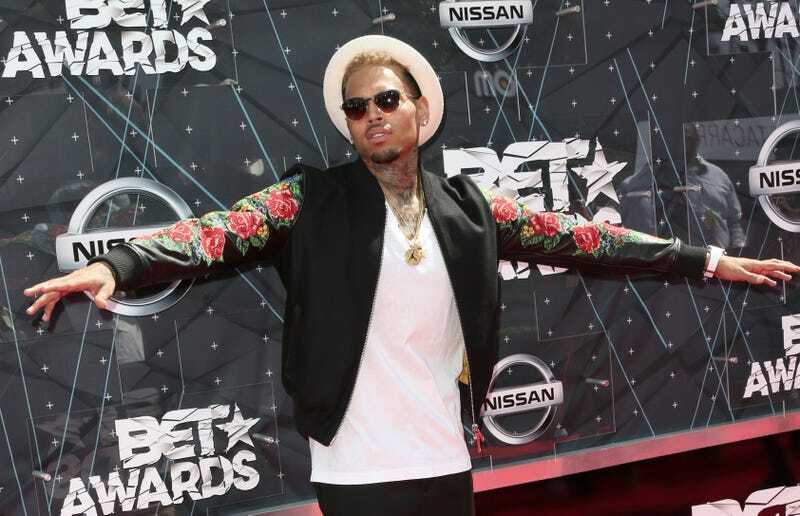 Things I now know about Chris Brown: He owns 14 Burger Kings. Chris spoke to Us Weekly for their always riveting feature “25 Things You Don’t Know About Me,” in which celebrities share things about themselves that you don’t know in an attempt to get you to know them better and make you feel close to them. Let’s explore Chris’s, shall we? There’s nothing to refute this claim from MTV’s tour of Chris’s then-unfinished home from a few years back, but we all know people clean up when company comes over. Photos from the interior of his home show a very neat closet, and an unmade bed. Hmm. To clarify: not the mural that he painted on his house, which his neighbor hated, that we can presume is a monster that is a mirror image of people’s negative views of him. Other murals. Chris Brown leaves court where he and his attorneys rejected a plea deal that would have found him guilty of simple assault on June 25, 2014 in Washington, DC. Brown was arrested on misdemeanor charges October 28, 2013 after allegedly assaulting Parker Adams outside the W Hotel in Washington, D.C. This is very likely true. So you were born this way.